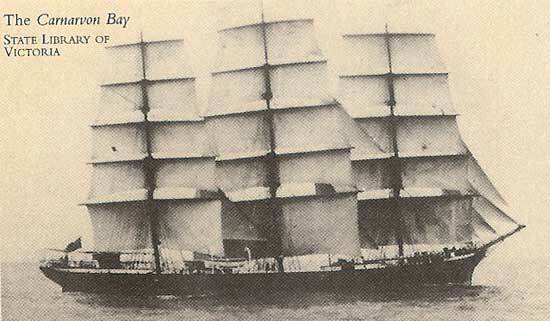 A fine steel clipper with the wind in her sails, the Carnarvon Bay entered western Bass Strait on 15 September 1910, much further south than planned. 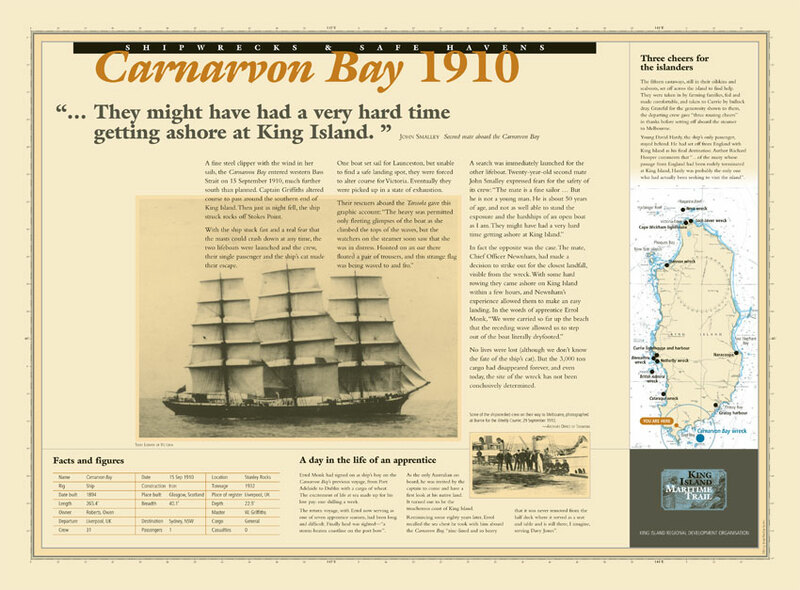 Captain Griffiths altered course to pass around the southern end of King Island. Then just as night fell, the ship struck rocks off Stokes Point. With the ship stuck fast and a real fear that the masts could crash down at any time, the two lifeboats were launched and the crew, their single passenger and the ship’s cat made their escape. One boat was picked up by the Tarcoola, the other came ashore on King Island within a few hours. No lives were lost. But the 3000 ton cargo had disappeared forever, and even today, the site of the wreck has not been conclusively determined.